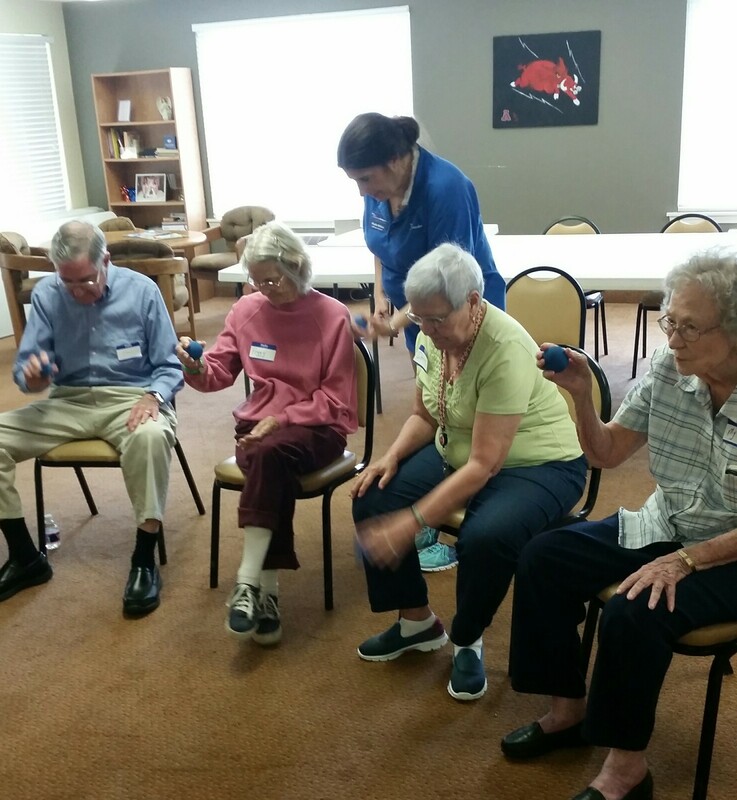 We regularly perform 1-hour demonstration workshops at senior care centers so that interested participants and organizations can experience the techniques and benefits of the program. When we are not teaching classes on Maui, we love traveling to promote Move With Balance. The free 1 hour workshop includes a demonstration of several innovative exercises along with live music. Seniors participants immediately feel the benefits and organizations can witness how the Move With Balance program can benefit their clients. Be ready to participate and have fun! Kauai’i, HI, Department of Health training. Phoenix, AZ, Changing Hands bookstore, book signing and demo. Maui, HI, Ritz Carlton, demo for the NFL wives. Please contact us if you would like to bring a move With Balance demonstration workshop to your facility.